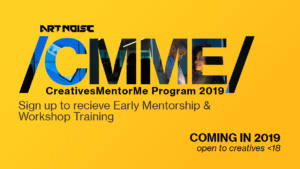 If you would like to make an online donation to CreativesMentorMe Program 2019, kindly use the form below, but feel free to email us at arts@artnoiseng.com cc artnoiseng@gmail.com to schedule a meeting or make a personalized donation. Art Noise will publish a magazine/yearbook at the end of the program thanking all its supporters and promoting the work they do, highlighting the outstanding students and will distribute at least 5,000 copies of this magazine across Nigeria and other parts of Africa. Send an email to hello@artnoiseng.com to find out how to pay using bitcoin.